Hill View Colony and Ors. Vs. State of Nagaland and Ors. Petitioner: Hill View Colony and Ors. Respondent: State of Nagaland and Ors. J U D G M E N T Abhay Manohar Sapre, J. 1) This appeal is filed against the final judgment and order dated 05.08.2011 passed by the High Court of Gauhati, Kohima Bench in Writ Appeal (c) No. 23(K) of 2010 whereby the Division Bench of the High Court dismissed the writ appeal filed by the appellants herein and affirmed the order dated 01.09.2010 of the Single Judge in W.P. (c) No.117(K) of 2010. 2) We need not burden the order by setting out the facts in detail except to the extent necessary to appreciate the short controversy involved in the appeal. 4) The respondents to the writ petition (State of Nagaland and other agencies of the State) filed their counter affidavits and contested the writ petition on various grounds. 5) The learned Single Judge of the High Court, by order dated 01.09.2010, in substance allowed the writ petition and issued a writ of certiorari and mandamus against the State and its agencies (respondents therein) in relation to the subject matter of the writ petition. The eventual direction issued by the writ Court reads as under: “In the facts situation, the Extra Assistant Commissioner (Gen.) Charge Officer of the Census, respondent No.3 herein is directed to cancel the Census records collected by the staff of the DMC, Dimapur with a further direction to conduct Census in the Petitioner village through official enumerators appointed by him. 6) Appellant Nos. 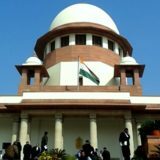 1 to 4 herein, who were not parties to the writ petition and they having come to know of the aforesaid order of the writ Court, felt aggrieved of the eventual writs issued by the writ Court sought leave to file appeal before the Division Bench and challenged the legality and the correctness of the order of the writ Court. The leave was granted and accordingly the appellants filed writ appeal. 7) The Division Bench, by impugned order, dismissed the appeal and affirmed the order of the learned Single Judge giving rise to filing of this appeal by way of special leave by the appellants before this Court. 8) Heard Dr. Rajeev Dhavan, learned senior counsel for the appellants and Ms. Vibha Datta Makhija and Mr. Vikramjit Banerjee, learned senior counsel for the respondents. 9) Having heard learned senior counsel for the parties at length and having perused the record of the case as also the written submissions filed by the learned counsel as directed, we are inclined to allow the appeal in part and while setting aside of the impugned order as also of the order passed by the learned Single Judge restore the writ petition, out of which this appeal arises, to its file and request the writ Court to decide the writ petition afresh on merits in accordance with law. 10) In substance, the issue involved in the writ petition and carried to this Court in the appeal arises out of Census Act as also certain State laws applicable to the State of Nagaland. The challenge inter alia therein is to orders issued by the State Authorities in relation to census. 12) First, since the appellants herein were not parties to the original writ petition but became parties in appeal for the first time, the writ Court decided the writ petition without taking into consideration the stand of the appellants. 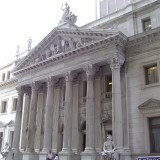 13) Second, once the Appellate Court granted leave to the appellants to file appeal thereby recognizing their locus in the subject matter of the writ petition then, in our view, instead of deciding the issues in its appellate jurisdiction, the Appellate Court should have remanded the case to the writ Court for deciding the writ petition afresh after granting an opportunity to the appellants to file their counter affidavits in answer to the writ petition. It was, however, not done. 14) Third, having regard to the nature of the controversy and various issues raised therein by all the parties concerned and also keeping in view the subsequent events which have come into existence during the pendency of this appeal, we are of the opinion that it would be in the interest of all the parties concerned that the writ Court (Single Judge) should decide the writ petition afresh. 15) We, accordingly, grant liberty to the appellants to file their counter affidavits in response to the writ petition as respondent Nos.5 to 9 to the writ petition. The writ petitioner and other original respondent Nos.1-4 (State and its agencies) are also granted liberty to amend their pleadings and raise all objections both on facts and law by filing additional counter affidavit/rejoinders etc. 16) We, however, make it clear that we have refrained from recording any finding on all the issues argued by the parties before this Court in support of their respective stand which, inter alia, included that the writ petition is now rendered infructuous in the light of certain subsequent events. It is now for the writ Court to decide all such issues. The writ Court would, therefore, decide the writ petition uninfluenced by any of our observations. We request the learned Single Judge (writ Court) to decide the writ petition expeditiously. 17) In view of foregoing discussion and the directions, the appeal is allowed in part. Impugned judgment is set aside. Tags: CIVIL APPEAL No.6022 OF 2012Hill View Colony and Ors.R.K. AGRAWAL ABHAY MANOHAR SAPREState of Nagaland and Ors.